A comprehensive roundup of new tech on display during our ‘30 tools in 60 minutes’ workshop at NICAR 2017. At our fingertips today we have tremendously powerful processing devices. 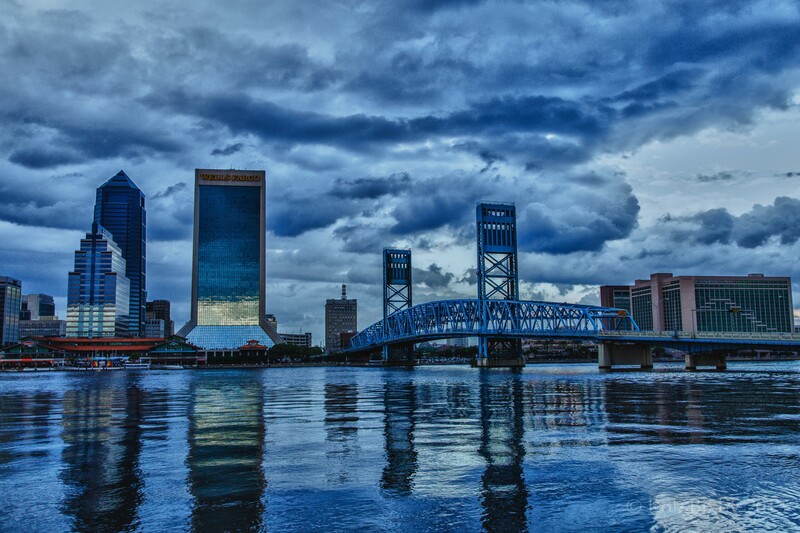 Society of Professional Journalists and Google News Lab trainer Mike Reilley and I recently braved the treacherous winter weather of Jacksonville, Florida, the host-city of NICAR 2017, to present to a room filled with data journalists. This post is an extension of that 30/60 NICAR session. In addition to this list, there was lots of social interaction via the #nicar30tools hashtag. Let us know what other new tools have recently caught your eye. Banjo technology ingests billions of live public digital signals like emergency services, social media, traffic, weather, and many other data sources to alert newsrooms with immediate insight into breaking events happening worldwide. Currently over 1,000 media organizations are powered by Banjo to be able to make faster, smarter decisions and break the story before the competition. This tool, a Google Chrome extension, allows members of a team working on the same project, such as an investigation, to annotate relevant information found online, discuss it and organize their research. 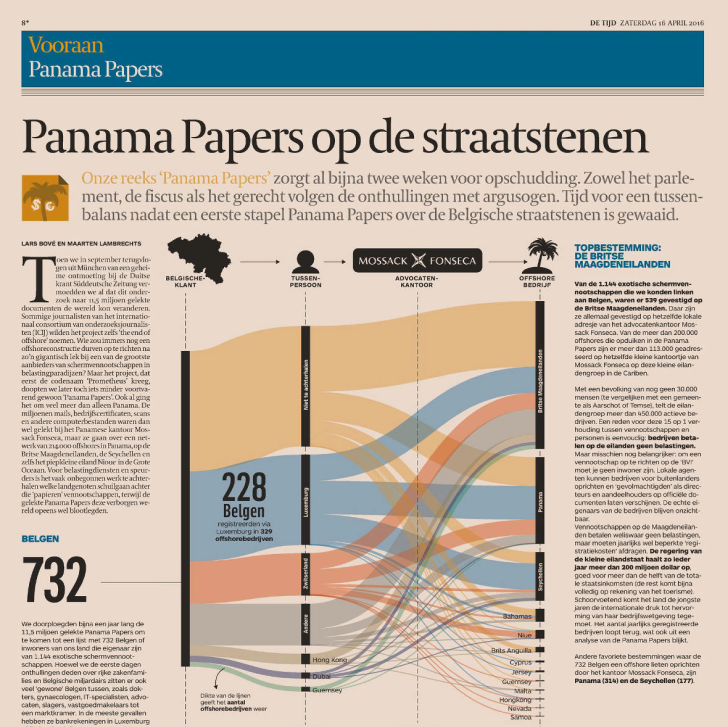 The missing link between spreadsheets and data visualization. 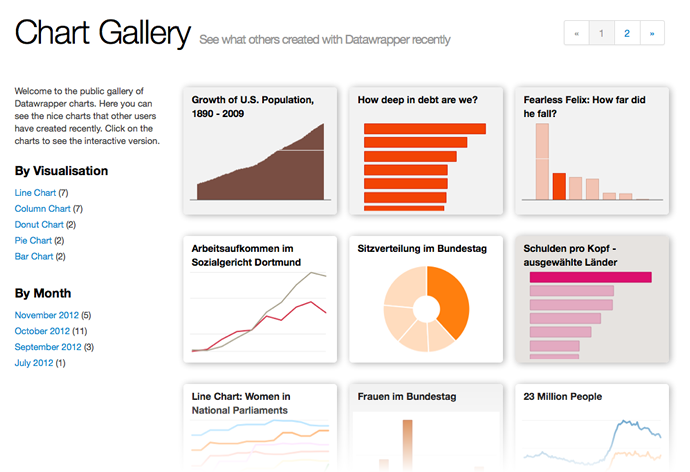 Create static charts with just a few clicks. Open, customizable, and free to download and modify. Data can be safely uploaded from apps to computers, plus it can be exported as an SVG or PNG and embedded in your webpage. This tool has done wonders for my productivity. Bills itself as a space for your thoughts, ideas, and ongoing tasks. 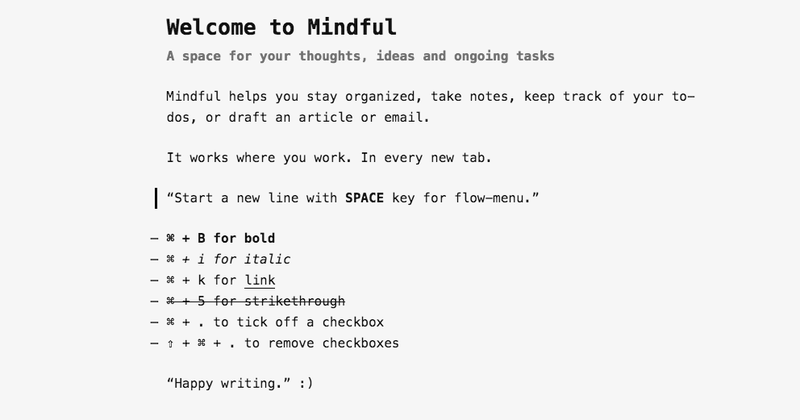 A Google Chrome plug-in that creates a tab in your browser accompanying you throughout your day. Based on three simple design ideas: 1) works across your devices 2) repetitive exposure 3) deliberate limitations. 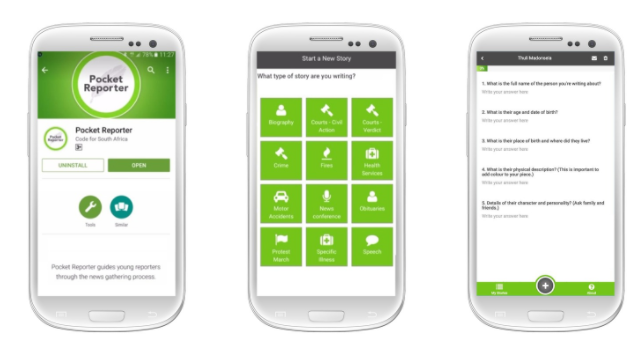 Nifty little mobile app from Code for South Africa, aimed at guiding trainee journalists through critical newsgathering process. Asks a series of questions during reporting assignment to ensure important information is being acquired. Can also be a useful tool for citizen journalists or freelancers. When the current ‘top trending’ just isn’t enough. This tool provides granular access and understanding to the top trending topics for each hour, on a per country or per city basis. Or even worldwide. Beautiful simple storytelling. ShortHand is recently out of beta. Makes it easy to create engaging, media-rich, interactive stories that look great across any device. Without the need for any computer programming. This service helps to create and amplify content. Access powerful insights into the most shared content and influencers on specific topics. 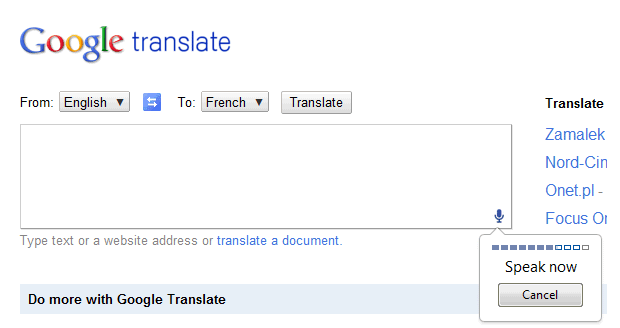 Use it almost similar to a Google Search when beginning to research a new subject. Great for finding sources and experts. Can also look for key influencers to further promote your content. 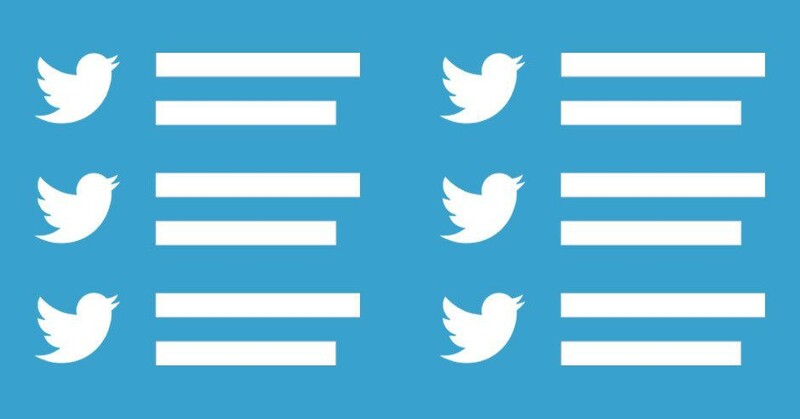 Use this ugly-but-functional tool to copy someone else’s Twitter list, then curate to your own delight. Pro tip: you should create a new list in advance so that you don’t merge and muck existing lists you’d like to remain intact. 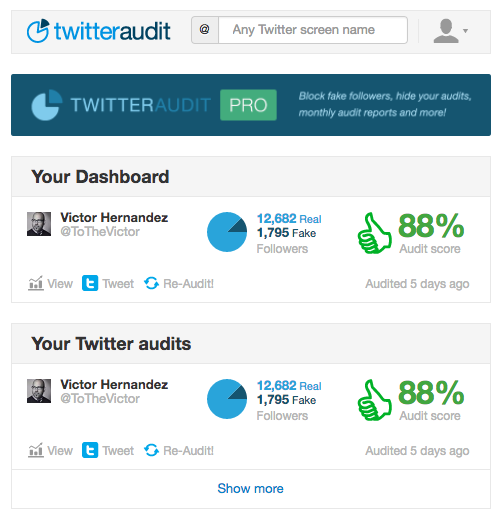 Curious about how many of your Twitter followers are real? Gets way more interesting when start to examine other accounts on Twitter. This service takes a random sample of 5000 Twitter followers and calculates a score for each follower. This score is based on number of tweets, date of the last tweet, and ratio of followers to friends. Let your photos speak for themselves. Smart resource for adding annotation inside mobile content experiences. 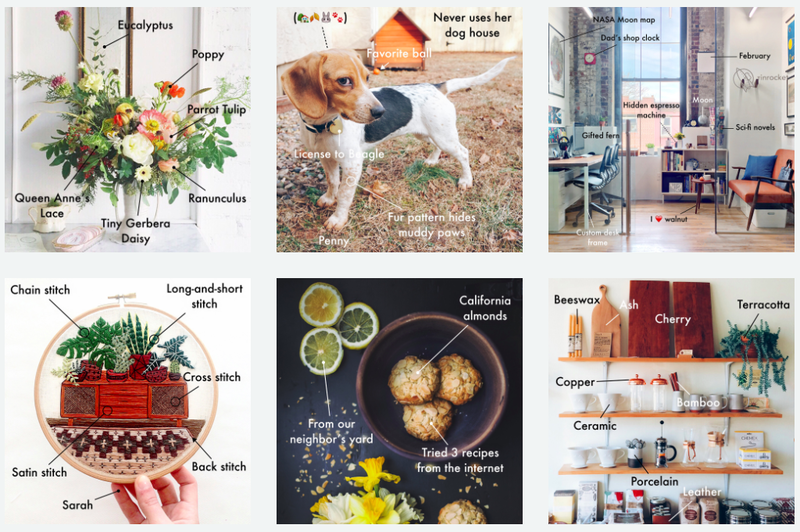 Tell the whole story by adding valuable pointers, labels, descriptions and commentary to images. Using a smart detection algorithm this app automagically creates GIF moments using existing media from your camera roll. The power is in the control settings — filters, stickers, speed, text, effects. Can share them on social, iMessage, embed on your site. Because life’s too short for Google Forms — this is a cloud-based app for creating surveys, and other engagement experiences. Typeform reimagines the way users create and respond to surveys and other types of forms, by making the process ultra-creative and user-friendly. Tool for integrating audio directly into articles, from the fantastic folks at Northwestern’s Knight Lab. The sound is not isolated; it plays right under the text. Simple three-step process to add inline audio to your story; 1) paste the URL of your SoundCloud, MP3 or Ogg 2) set the START and END points for your audio clip 3) paste the embed code where you want the sound to come to life in your text story. Spherical VR digital camera features Record 360-degree photos/videos — simple to use, fairly reliable tech and best of all at a price that allows for low-ish barrier to entry for getting into virtual reality storytelling. Get more from data with Fusion Tables. Fusion Tables is an experimental data visualization web application to gather, visualize, and share data tables. All your maps where you need them. 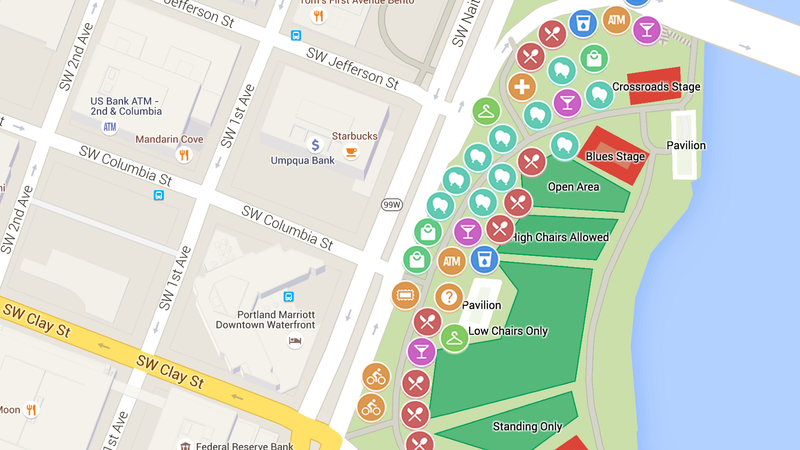 Start making a map on the web and keep editing it in the app — or make a new map on the go. Put your data on a searchable, filterable map. This is a free, open source tool and template powered by Google Fusion Tables. And while you’re at it, give Derek a follow @derekeder. 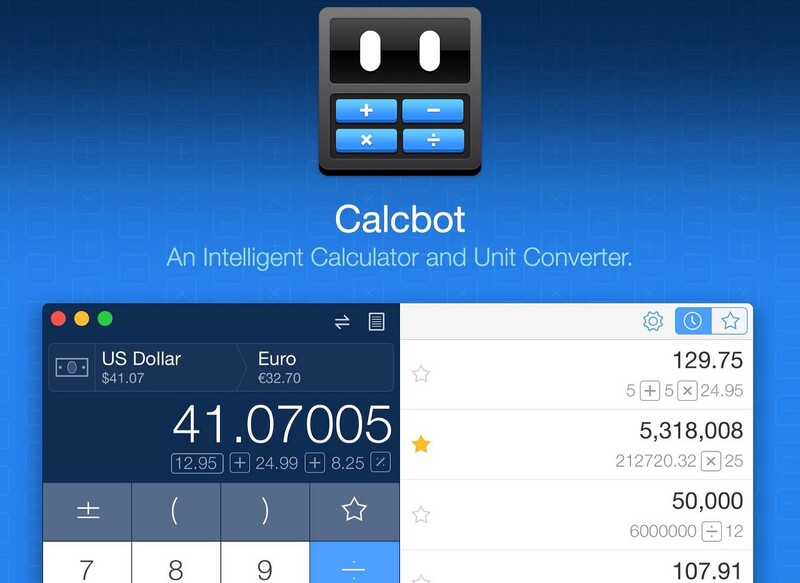 If you’re constantly looking up unit conversions because you can never remember how many cups are in a pint or how many kilometers make up a mile, Calcbot makes simple versions like these — and hundreds more — a joy thanks to its beautiful interface. 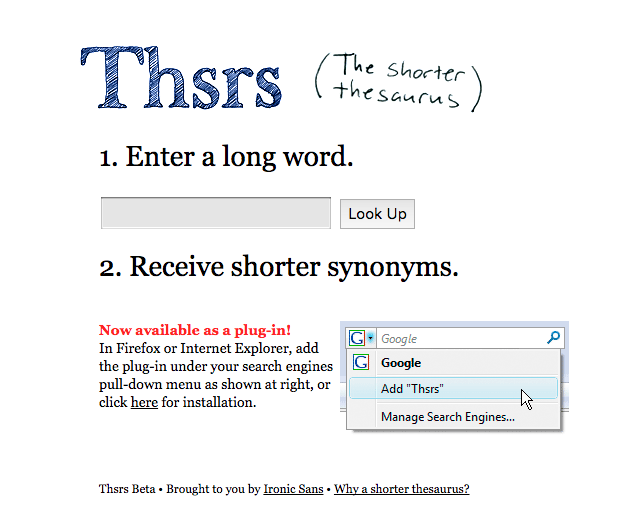 Unique tool that finds you shorter synonyms so you can tweet more. Also terrific for writing headlines and labels for graphics. 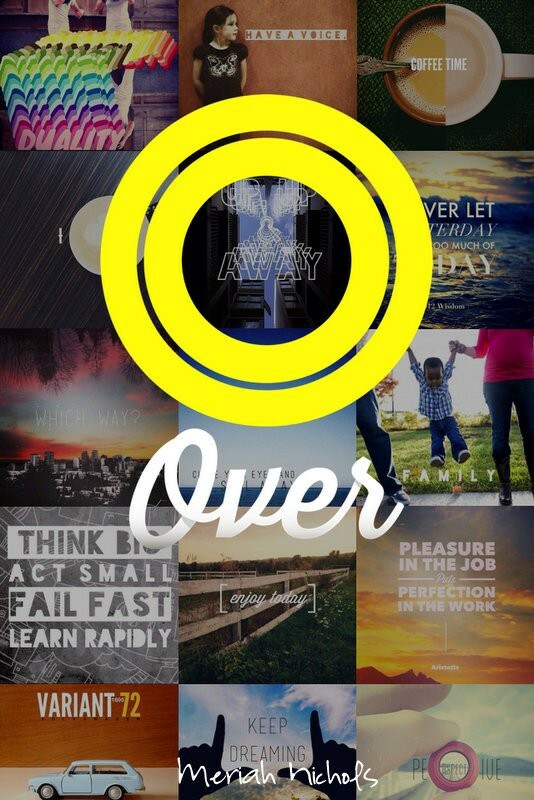 With “Over” you can add beautiful text to your photos, simply choose from 25 fonts available, and add captions, quotes, more… you can then resize, align and position your text, when finished you can quickly publish your creation on your social networks. 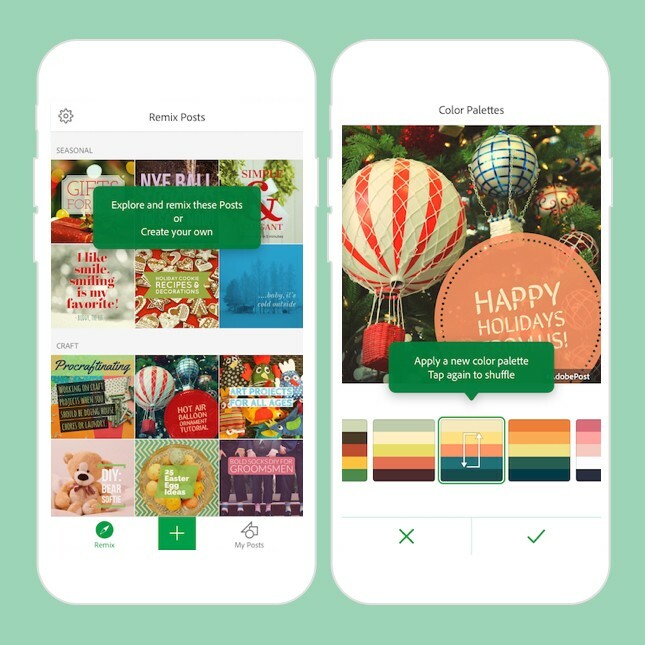 Similarly, Adobe Post is a free online and mobile graphic design app. 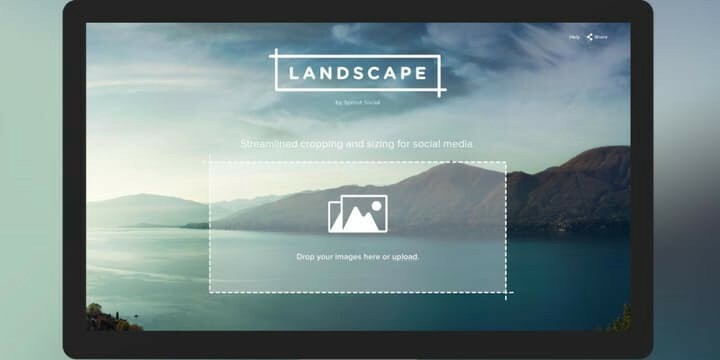 Great for producing compelling text-overlay-on-image graphics for social media. Create eye-catching animated posts with the Ripl mobile app that helps your content stand out on social media. Layers text over photos with motion. Can add music as well. Several good templates to chose from. Stick with the free option. The next best thing to being there. Bubbli is the app for making dynamic spherical photos called bubbles. Available for iOS. 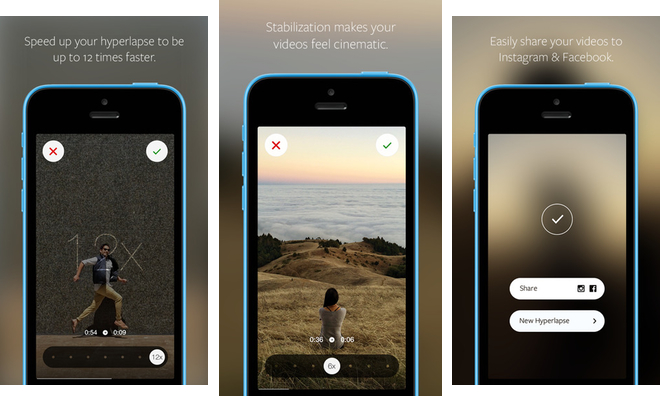 Create time lapse videos with Hyperlapse. Using Instagram’s in-house stabilization, Hyperlapse shoots polished time lapse videos that were previously impossible without bulky tripods and expensive equipment. 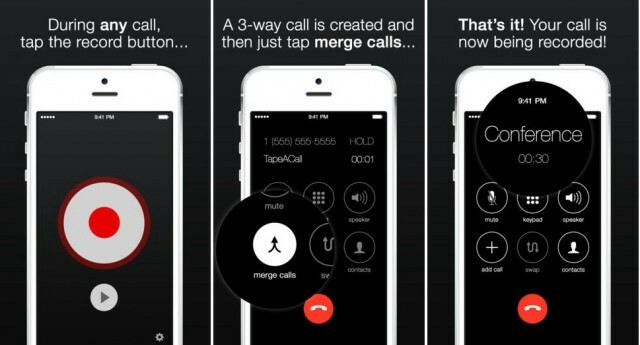 Record phone conversations on these iOS apps. Be sure to download afterward as it charges for storage over certain time limits. 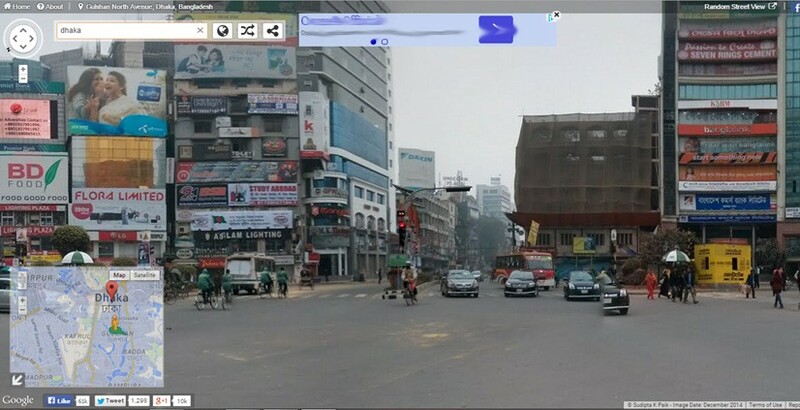 Streetview shoots 360 photos and maps them. Cardboard camera shoots 360 photos that you can view in Cardboard or another viewer. Get it, fold it and look inside to enter the world of Cardboard. It’s a VR experience starting with a simple viewer anyone can build or buy. Use the camera and audio functions for VERY ROUGH translations. Good in a pinch, but has some issues with verbs, etc.